Yemeni government forces have blocked a strategic highway located between the western port city of Al Hudaydah and the capital of Sanaa, a source in local administration told Sputnik on Wednesday. 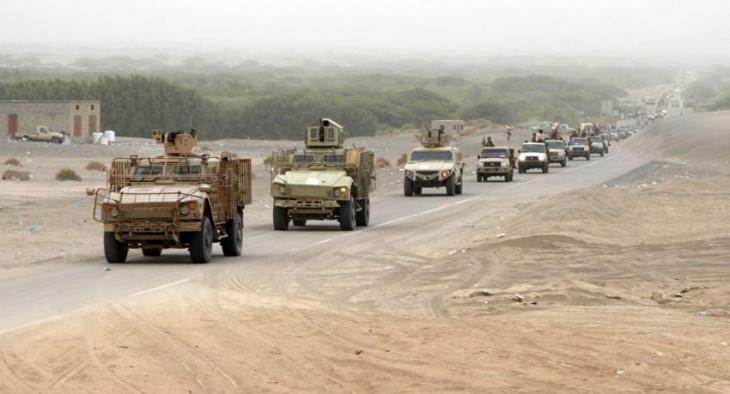 CAIRO (UrduPoint News / Sputnik - 12th September, 2018) Yemeni government forces have blocked a strategic highway located between the western port city of Al Hudaydah and the capital of Sanaa, a source in local administration told Sputnik on Wednesday. The source said that the government forces had taken up a position 12 kilometers (7 miles) east of Al Hudaydah and "blocked the strategic Al Hudaydah-Sanaa highway after fighting against Houthi militants with support of intensive [Saudi-led] coalition airstrikes." Yemen has been engulfed in an armed conflict between the government forces led by President Abd Rabbuh Mansur Hadi and the Houthi rebels for several years. The Saudi-led coalition of mostly Persian Gulf nations has been carrying out airstrikes against the Houthis at Hadi's request since March 2015. The situation in the war-torn country has deteriorated significantly since June, when the Saudi-led coalition launched an offensive to seize Al Hudaydah, a key port city for humanitarian aid, from the Houthis.